We caught up with Groove # 3 after their recording day at Clementine Studios. What was the inspiration behind forming Groove # 3? Groove #3 was initially formed as a trio playing instrumental music. We wanted to portray the true funk agenda which was almost lost down here in the south. Back then we had our personal inspirations. Naming a few would include Dennis Chambers, Marcus Miller, Victor Wooten, Herbie Hancock, John Scofeild and the like. A couple of gigs down the line we realized the need of a vocalist and a keyboard player. Hence, the addition. As of now we can express the funk in us better. A lot of artists inspire us now. Mainly Tower of Power, Incognito, Jamiroquai, Stevie Wonder and the list keeps going! What started of as a trio, hence the name Groove #3, grew on to become a six member band- Benny Dayal on vocals, Napier Naveen Kumar on the bass guitar, Leon James on the keyboards, Naveen Samson on the lead guitar, David Joseph, drummer and Allwyn Jeyapaul the percussionist. What sort of Music do you dabble in and why? We dabble mainly around Funk, Jazz and the Jamaican reggae. We also tend to include Latin and African rhythms on and off. Where do you see yourselves heading in the next year or so? Aspirations? To be honest, we were basically future blind. We never plan anything in advance as far as the gigs are concerned. We play when we feel like it. But with recent gigs and the response we have received has been so overwhelming that WE have started to plan toward the development of the band and more exposure through shows and gigs. After all that is what we independent artists strive for while seeking support. We are planning some gigs in the North & abroad as of now. Working on our sets and our materials. Work is happening. Meanwhile we are working towards our album as well. Hopefully, things fall in place, AS PLANNED. What do you like about staying independent? The best part of staying independent is the joy of freedom. We aren’t not bound by legal obligation to do anything. We decide what to do and what not to. In that way we can be far more expressive and less stressed out. Though we have our own troubles being independent, its fun. And we are very happy with the way the audiences respond. While the indie music is getting better the possibilities are many and there is scope for its improvement in our country, which makes the journey exciting. Over the recent past we are having a lot of memorable gigs. Our first gig with new lineup 18 months back at Star Rock Chennai was a Bob Marley tribute show, The most recent one in Chennai for Fete de la Music was remarkable. An incredible set of audience and the amazing energy. Our gig at Bangalore for the Indigo Jazz and Blues Fest with some great artists including Bobby Whitlock, the Overdrive Trio, Saturday Night Blues Band, Warren Mendonsa, Van Wilks was a once in a lifetime opportunity.We were able to network with these international artists which was a great experience. All our shows were interesting in some way or the other, but these gigs were truly memorable. I must say it’s getting better with each and every gig. How was the recording at Clementine Studio? Clementine was amazing. We had a lot of fun recording there. The place seems so lush and green. 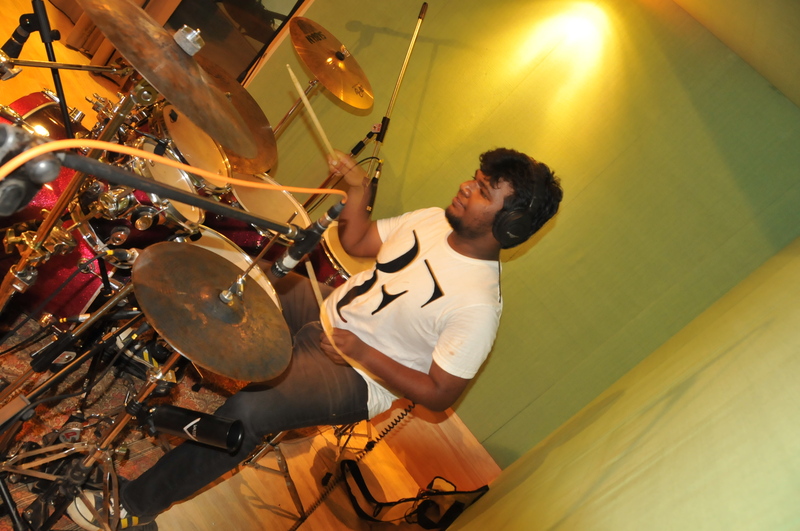 A subtle studio which has amazing equipment in Chennai. The place itself generates a lot of positive energy, creativity & ideas. We did two of our songs there – Nowhere to run and baby you got me. T.J. Varghese did an amazing job with the studio mix. It was a true pleasure working with him. It seems like forever since we, as a band worked together in a fantastic environment for a whole day recording some great music, which is very rare, since each member has other obligations as well with other sessions. We are looking forward to work with Clementine Studio and EarthSync in the future. We’re impressed with EarthSync for its initiative to start a platform like IndiEarth, that supports independent artists of India while continually connecting them with worldwide media. As an indie band, we are very thankful to IndiEarth for all the support and proud to say we are a part of IndiEarth. 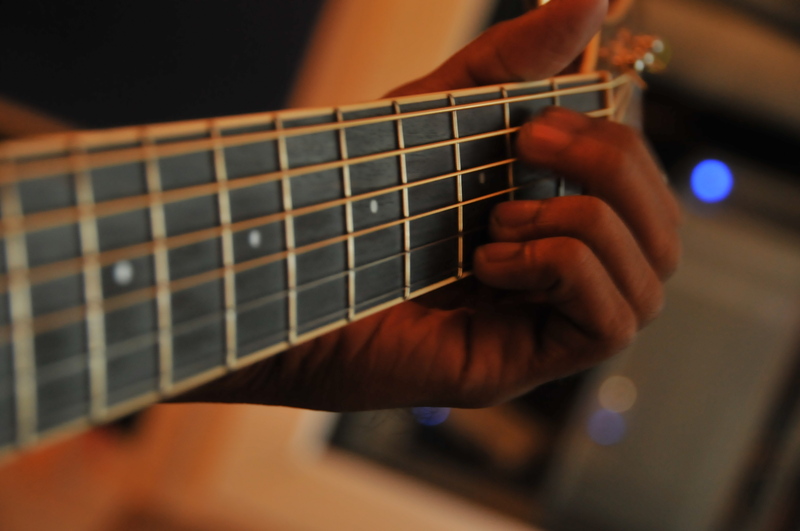 What would you like to see on IndiEarth that you, as an artist can benefit from ? Indiearth is already perfect with its innovative and hardworking people behind it. We are hoping to see lot more media exposure, more visibility of the website and its services to fans, musicians, even friends. If possible some promotional gigs to advertise their bands periodically or a launch show every now and then to introduce their new artists who are joining IndiEarth. In general, we keep our eyes peeled to IndiEarth and hope to participate in a lot more contests and events organized by IndiEarth!